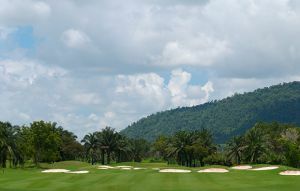 The uniqueness of Wangjuntr is not only the two course designs, but also the pristine landscape that has been left in place. 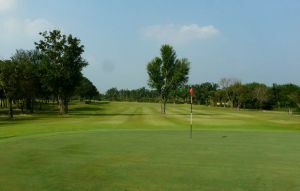 Intended to be an environmentally friendly Pattaya golf resort, the original landscape of mature rubber trees and pineapple, sugarcane and cassava plantations have been reconfigured and converted into two golf courses and a significant golf resort. All large trees have been preserved and augmented by a well managed reforestation program. 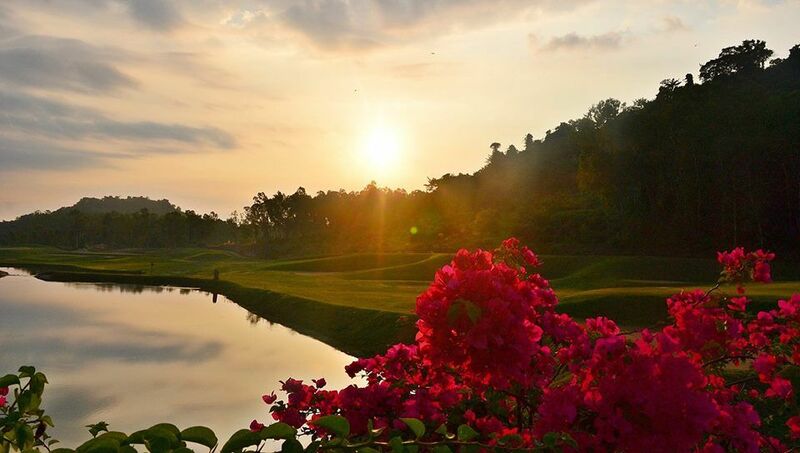 These two Thai golf courses reflect the magnificence and the harmony of championship golf courses set in the natural wilderness. The Valley Course plays over 7100 yards including 5 par 5’s and 5 par 3’s, the longest of which plays an amazing 245 yards! The interesting par 3, 15th hole plays to a heavily sloped green and requires a perfect approach shot to avoid the pond off to the right of the green. Also a par 3, the 17th hole, is located on a cliff, and hits down to a well guarded green while offering panoramic views of the region. The par 4’s range from a short 299 to a whopping 503 yards! The 2nd hole, has a eucalyptus tree forest surrounding the fairway. The 4th hole, has a crater like grass bunker in the middle of a double green. Probably the best hole on the golf course is the 11th, a par 5 measuring 694 yards, and is one of the longest par 5’s in Thailand. Only the two par 6’s found down the road at St. Andrews 2000 play longer. 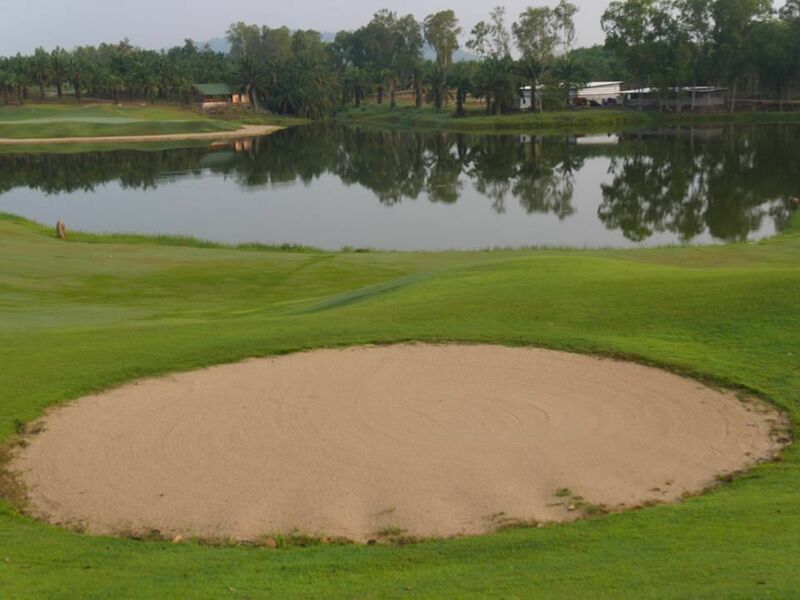 The two finishing holes at Wangjuntr Golf Park are also well designed par 5’s. Well struck drives can be rewarded with excellent 2-on opportunities, offering those golfers a few stokes behind a good chance to catch up on these holes. 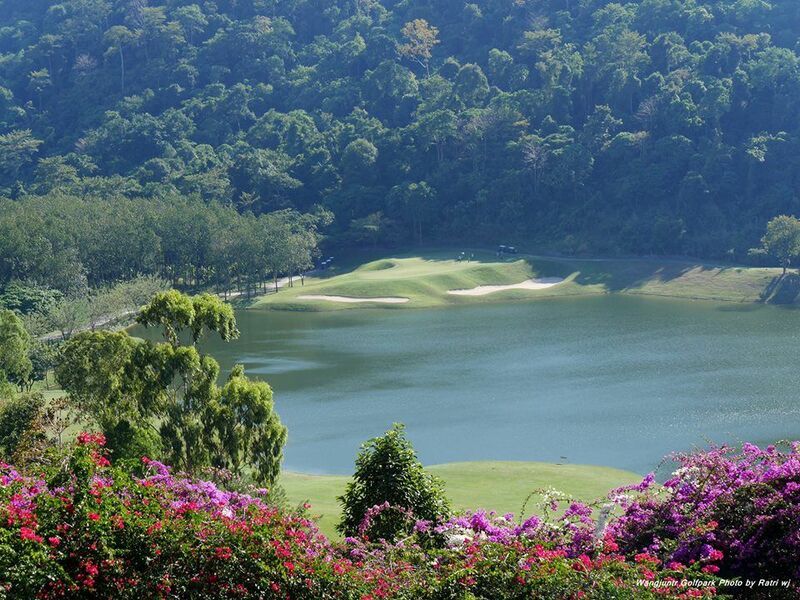 The Highland Course measures over 7600 yards making it the longest golf course in Thailand. Again among the twin-greened eighteen holes, there are four par 3’s, ten par 4’s, and 4 par 5’s. The par 3’s ranges from a short 150 to 253 yards, for most golfers a driver for sure. The par 4’s play up to 493 yards, and the longest par 5 is 690 yards. The Highland Course is even more challenging than the Valley Course. Every hole is a challenge in its own right and this course has to be seen (played once) to be believed! 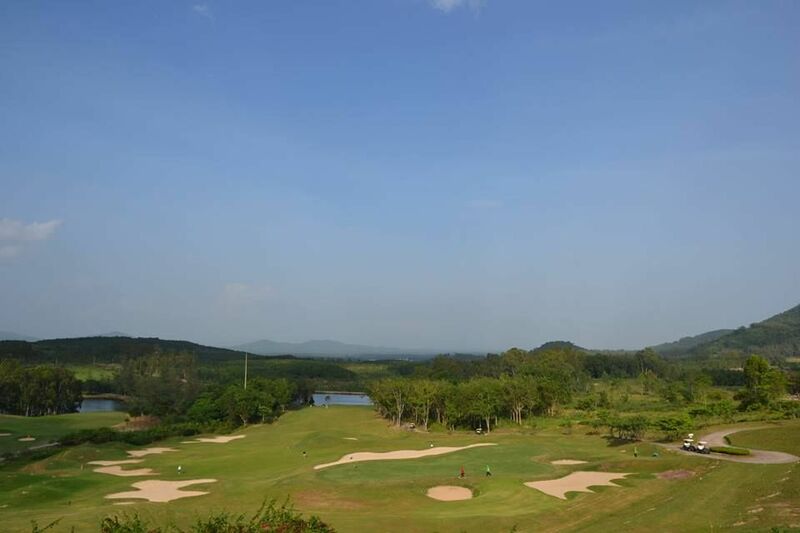 Wangjuntr Golf Park, is best played as part of a Pattaya golf vacation, but also offers several on-site accommodation options including cabins, a golf lodge and a private mansion, all surrounded by greenery and a bird sanctuary. Local and international food is offered at the club house. However, there are many excellent restaurants nearby on the Gulf of Thailand. Several of these make great choices for enjoying a seafood meal with a few cold beers while watching the sunset and reminiscing about your round at the Wangjuntr Golf Park, all before heading back to start a night out in Pattaya. 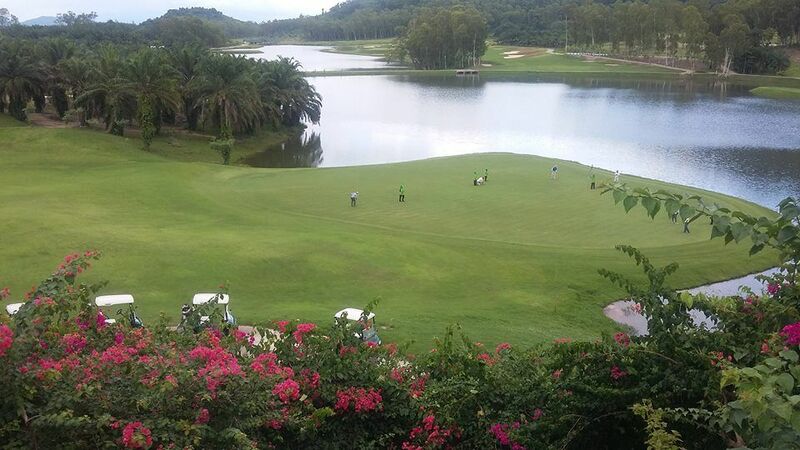 Wangjuntr Golf & Nature Park is not yet in our pool of Golf Courses for orders.